Meet pHresh, the best natural deodorant — period. pHresh harnesses the power of vegetables and plant-based ingredients to keep your underarms clean and pHresh all day long. Ideal for normal and sensitive skin, pHresh boasts soothing organic aloe, a miraculous plant lauded by dermatologists for its skin-saving properties. 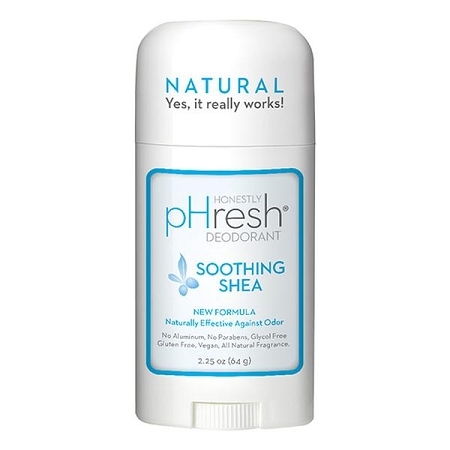 pHresh puts an end to odor-causing bacteria through the powerful antimicrobial ingredient Saccromyces Ferment, which is derived from vegetables and contains live enzymes that help absorb moisture and bring your armpit’s natural pH into balance. 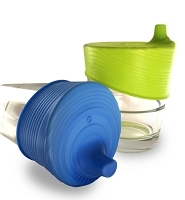 pHresh glides on smooth and clear, and won’t leave residue on clothes. Made in the USA, pHresh has an array of clean scents (and an unscented option, too), but it’s equally popular for what it doesn’t have. I really like this product. It works well and hasn't caused any itching, like many natural deodorants have. It's not as strong as chemical laden deodorant/antiperspirant but that's to be expected. I still found it highly effective in normal activity use. The Sweet Mint scent was very pleasant. I've been using this deodorant for about 8 months now. My only complaint is I do usually have to apply it twice a day and it definitely does not last 24 hours for me. However, it does work well for about 10-12 hours and I haven't had any reactions to it since it is baking soda free. My armpits generally feel healthier which sounds weird but the aluminum in mainstream deodorants was really giving me issues. So far I have tried Sugar Mint, Tropical Blossom, Soothing Shea, and Barely Sweet. Sugar Mint is my favorite by far but Barely Shea is one I would reorder as well. The other two were good, just not my favorite type of scent. Overall a great product and a wonderful alternative to other deodorants. I like the deodorant a lot. It smells good and feels good.